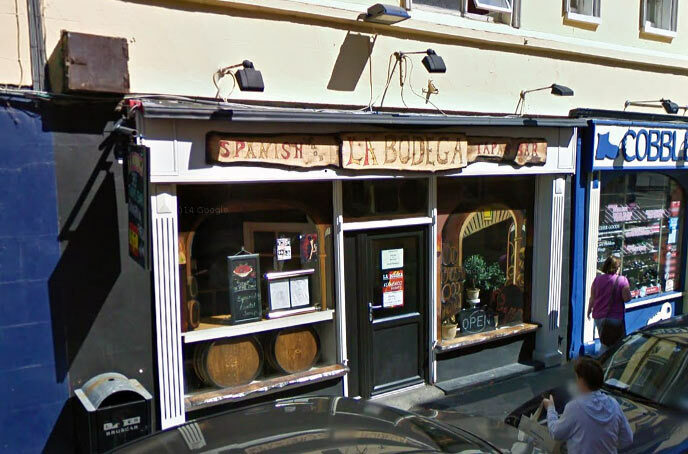 A Google Street View image of La Bodega, which was a Spanish tapas bar on Wexford's Anne Street. This image was captured by the Google Street View car in June of 2009. More recently, the premises was occupied by a Chinese takeaway restaurant called Ping Kee.